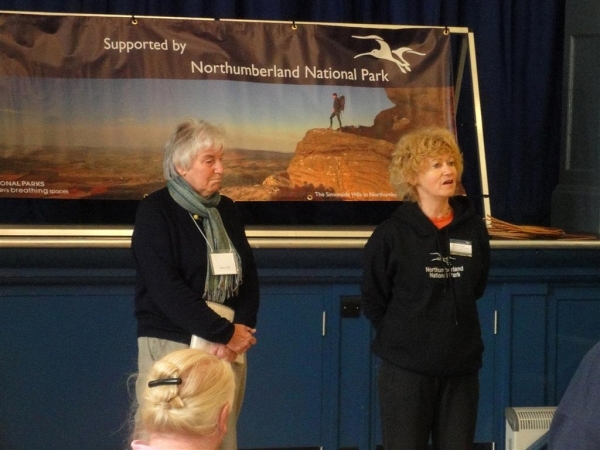 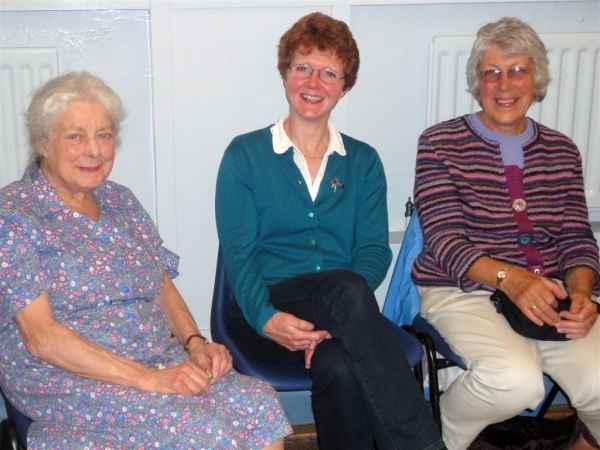 This meeting was hosted by the Northumbria Basketry Group and supported by the Northumberland National Park. 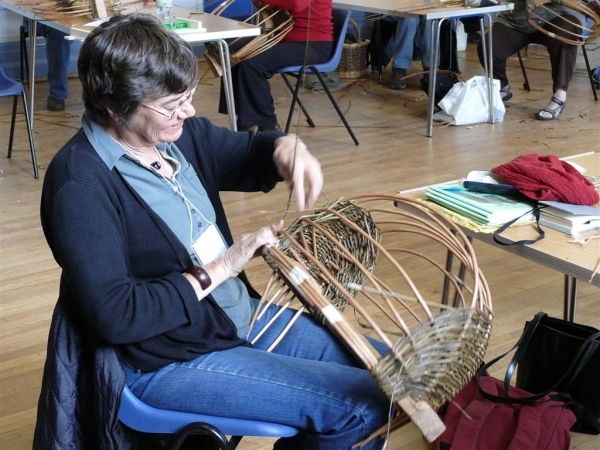 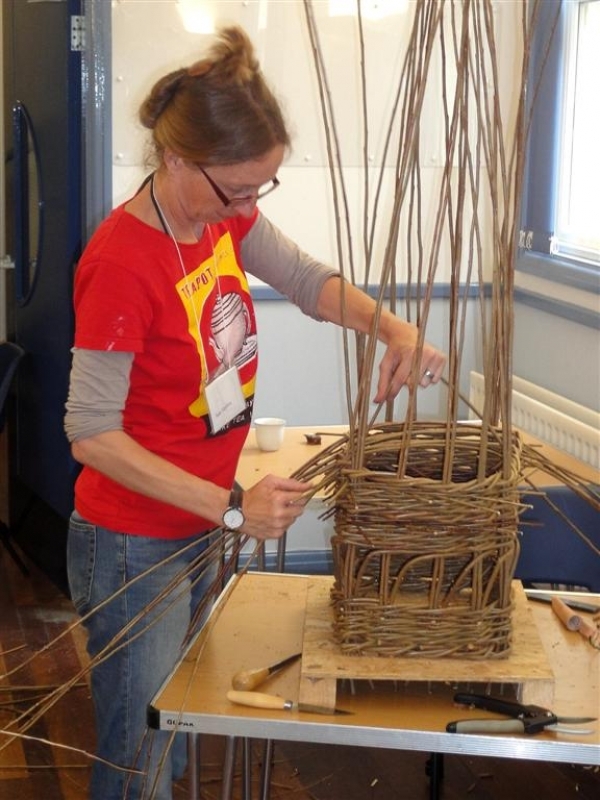 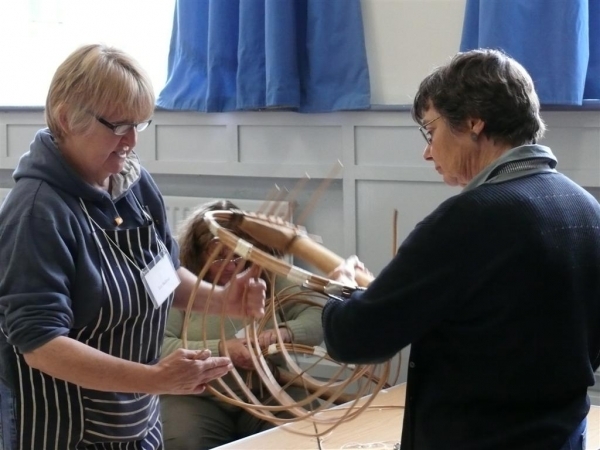 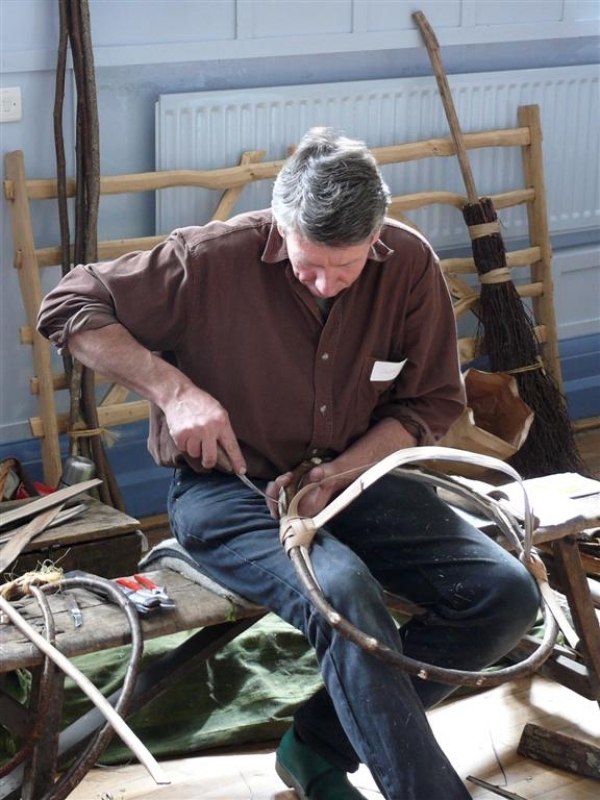 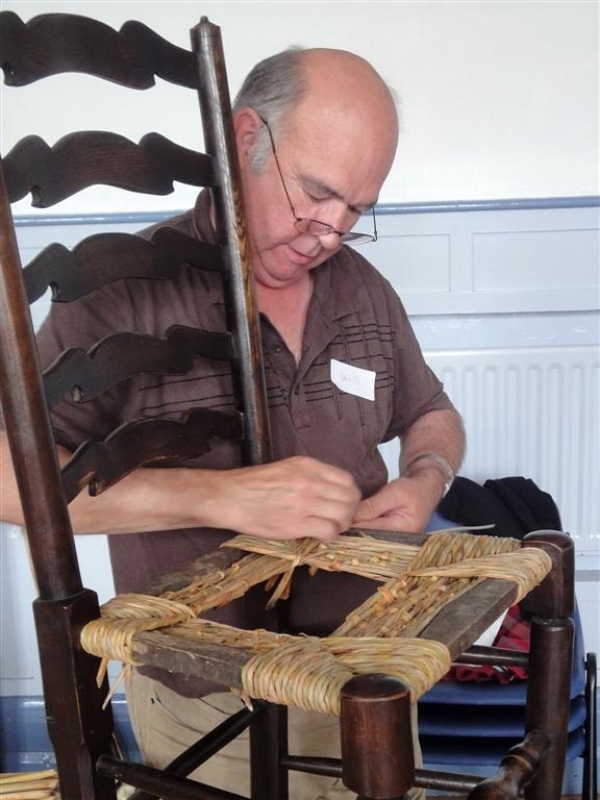 Around 60 basketmakers from around the UK enjoyed a varied and interesting weekend. 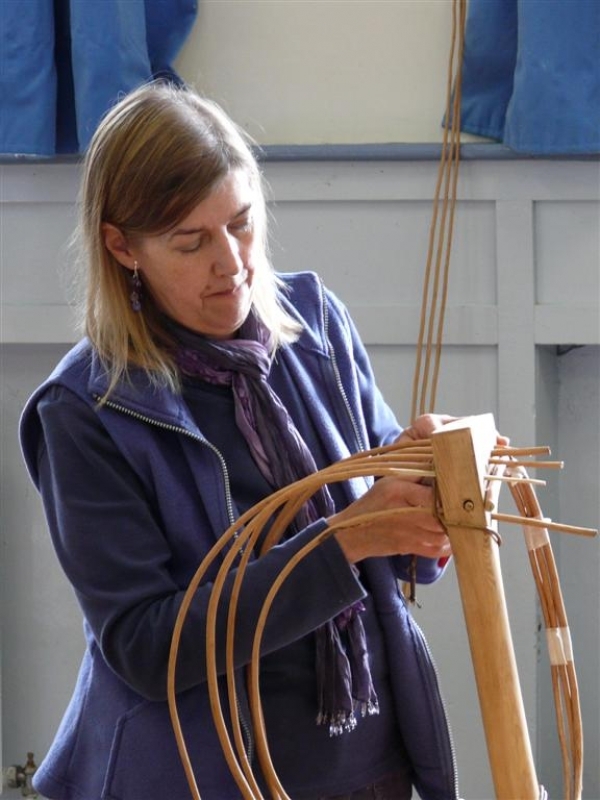 On the Saturday three workshops were held featuring the making of Celtic Knot baskets, Donkey Creels and Northumbrian Fishwifes Creels. 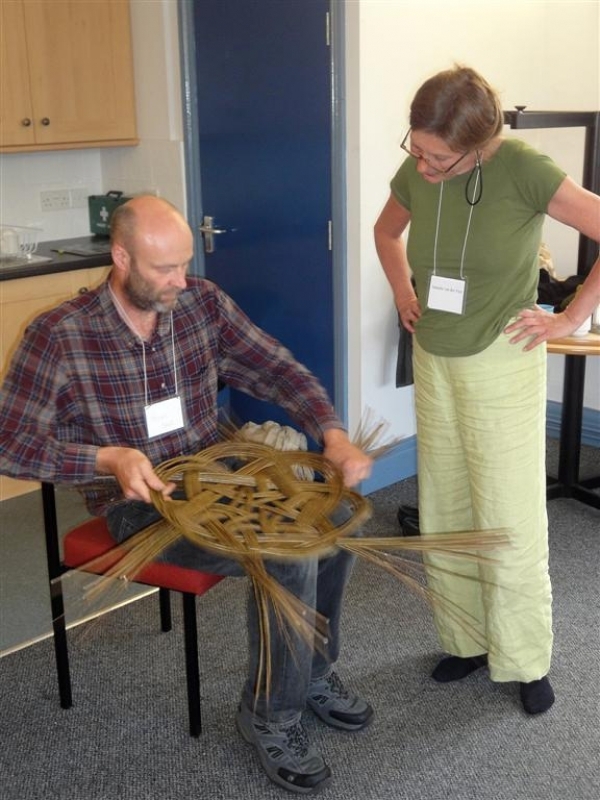 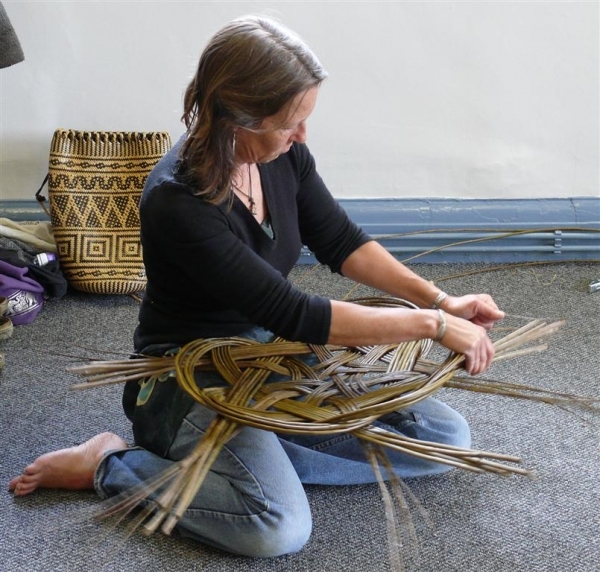 The latter workshop was very popular with twenty people successfully creating creels. 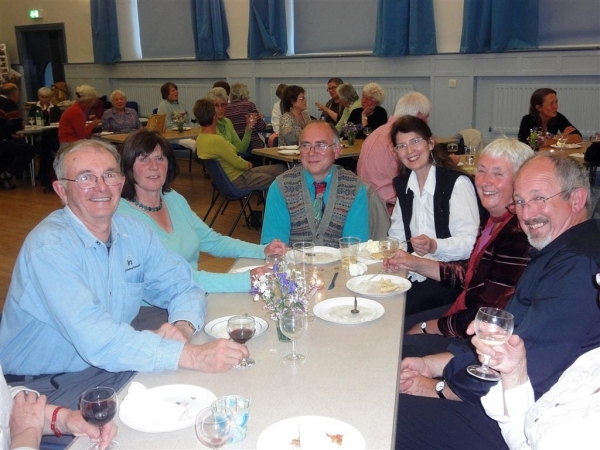 At the Saturday night buffet a welcoming atmosphere and excellent catering were provided by Charlotte Boxall and her team while Northumbrian Piper Sue Lyons and her colleagues provided entertainment. 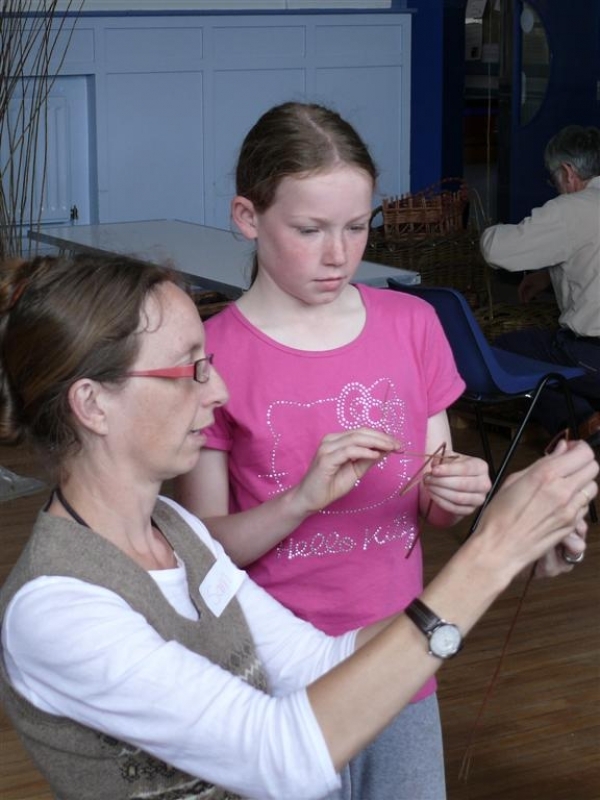 Sunday was a busy open day with members of the public joining in the activities. 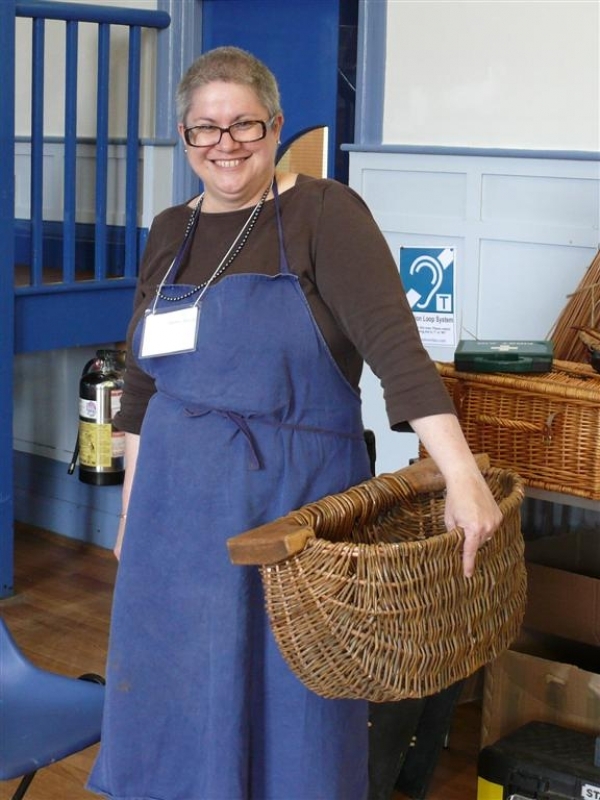 Visitors could watch demonstrations of a wide range of baskets being made, purchase baskets and join in the hands on activities. 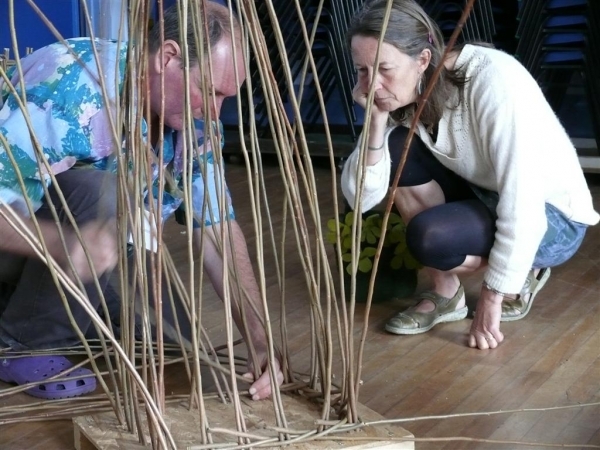 The latter included the making of leaping willow fish. 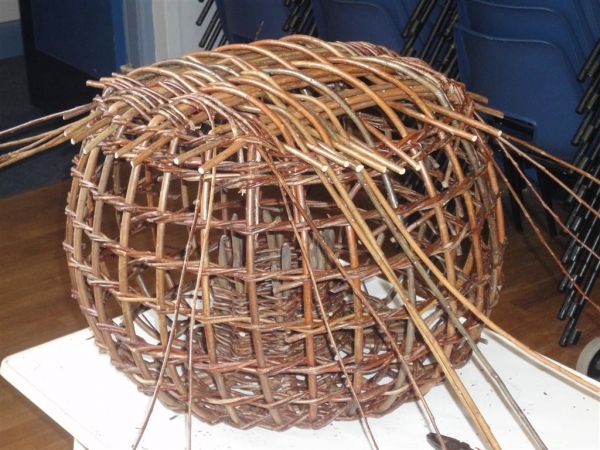 A report circulating a few days later suggested that a few of these had escaped to a garden pond in Rothbury. 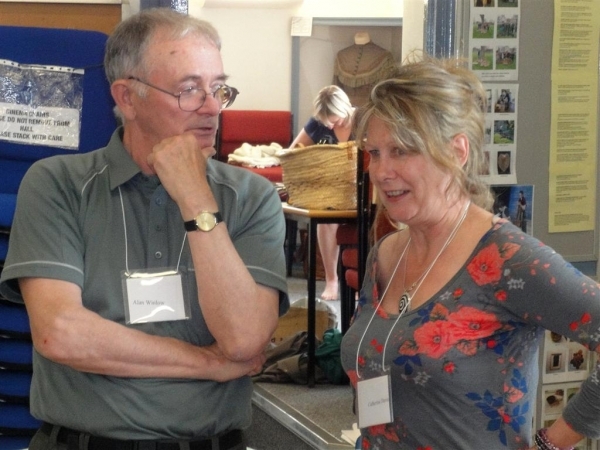 Altogether this was a wonderful weekend, with a happy and welcoming atmosphere, full of activity. 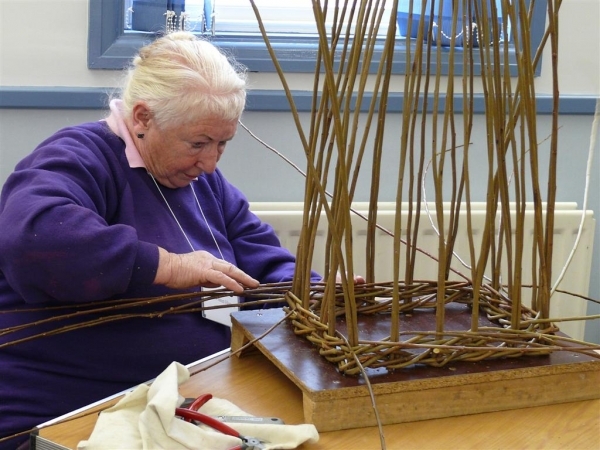 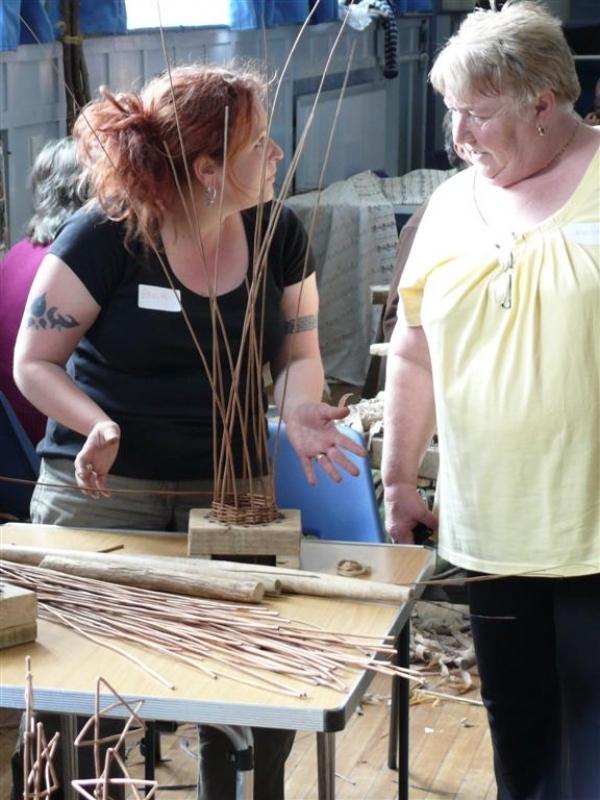 Northumbria Basketry Group is funded by the Northumberland Uplands LEADER programme.